Written by Sarah Loveband, for The Yoga Institutes "It Depends" Campaign. 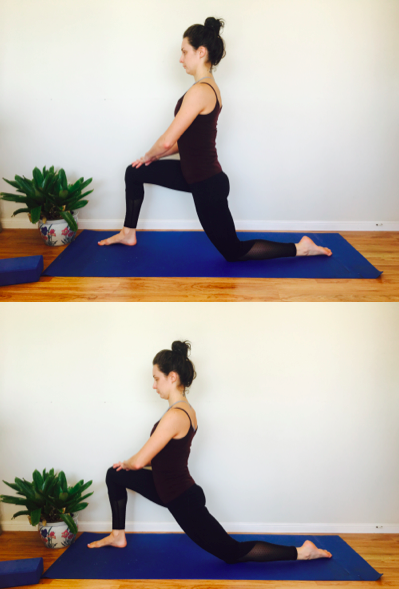 When considering a suitable yoga practice for tight hips, it depends…. There are various factors which could be responsible for a person’s sensation of tightness in the hips. Muscle shortening, scar tissue, conditions like osteo or rheumatoid arthritis or even a person’s anatomical boney structure can limit their range of movement (ROM). As a yoga teacher or yoga therapist – a facilitator of functional movement amongst other things – it’s useful to educate yourself on the causes of tightness (perceived or actual) so you can assist people in initiating and maintaining movement in the best possible way for their body. For many people, the most common cause of hip tightness is lack of movement. Due to work demands, many people are required to sit for up to 8 hours a day (and sometimes more) with their hips in a flexed position. Prolonged hip flexion places the muscles at the front of the hip (known as the hip flexors) in a shortened state whilst on the opposite side of the pelvis, the gluteals (which are responsible for hip extension), are lengthened. As a result, the muscles anterior to the hip (at the front) become short and tight whilst the gluteals (at the back) are stretched and weakened. Aside from a slight sensation of tightness at the front of the hip, one of the most common symptoms of tight hip flexors is lower back pain. This is because one the primary hip flexors (the psoas) attaches to the anterior side of the lower lumbar spine and to the anterior femur. Thus tightness in this muscle pulls on the lower back creating pain. Because the pain is felt in the lower back many people seek to perform stretches over the lower back area. However the source of the pain is on the opposite side of the body. There are many factors that can result in low back pain, so as always IT DEPENDS on individual circumstances, whether the sequence described below will be appropriate. To alleviate tightness in the hip flexors it is recommended that people who ARE experiencing this, perform the asanas mentioned below multiple times per week. Always begin with gentle dynamic movement – moving in and out of the posture with the breath 3-5 times – then introduce long holds of at least 30+ seconds to allow the muscle fibres to release. Knee to Nose – Start in an all fours position, on an inhale, extend one leg straight behind you, on your next exhale, bring the knee towards your nose. Repeat the movement 3-5 in time with your natural breath, extending leg on the inhale, moving knee towards nose on the exhale. Repeat on the other side. This movement encourages the hip flexors to contract and relax which is recommended prior to moving into a stretch position. Kneeling Lunge – Start in a neutral upright kneeling position, on an in-breath, move one leg forward into a lunge, on the next out breath move the leg back to the kneeling position. After 3-5 dynamic repetitions moving back and forth between the upright kneeling to lunge position with the breath, hold the lunge for 30+ seconds with weight shifted forward, mentally scan over hip flexors and direct your breath to this area. Repeat on the other side. 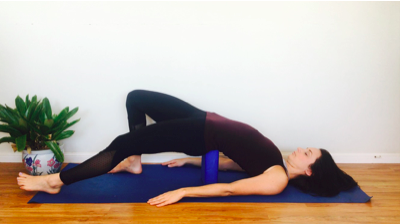 Bridge & Psoas stretch with block – Start lying on your back with your knees bent and feet flat on the floor, hands by your sides on the floor, palms up. 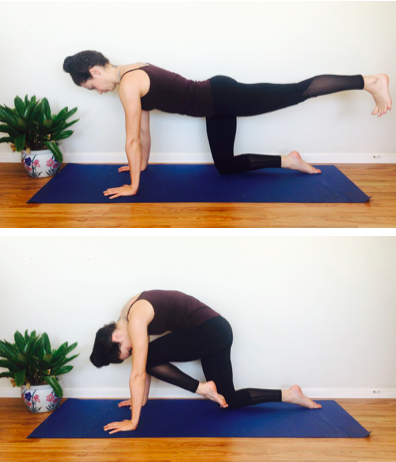 On an in-breath lift the hips, moving into a ‘bridge’ pose, on your next out-breath return the hips to the floor. Repeat 3-5 times in time with your natural breath, moving hips up on the in-breath and back down on the out-breath. On your next inhale after you raise your hips, place a block under the sacrum (back of pelvis, at base of spine) and extend one leg. Resting the heel of the extended leg on the floor, bring the opposite knee in towards the hip with hands resting on knee. Hold for 30+ seconds, mentally scan over hip flexors on the extended leg side and direct breath to this area. Repeat on the other side. #Tip: Some students may find placing a block underneath the sacrum uncomfortable, in which case you can cover the block with a blanket for more cushioning. #Tip: If you suffer from tight hip flexors you should also aim to strengthen the opposing muscle group, the gluteals, as this will create physical balance within your body. Bridge: Performed dynamically with the breath as described above. After you raise your hips not eh in-breath, pause, hold & squeeze gluteals at the top, using the contraction of the glutes to move the hips further into extension. #TIP – you can even touch your glutes for a moment so you can feel the muscles contracting, thus building mind/body connection, exhale release and roll down with control. Doing 10 repetitions of this up and down movement in each set, complete 3 sets, resting between sets. Repeat multiple times per week. The more yoga you practice the more empathetic you become. You begin to notice how outside influences effect your body & mind. Caring for yourself by maintaining a healthy diet, participating in regular exercise and having adequate rest becomes essential to maintaining quality of mind. In addition to caring for yourself, you will also become more conscious of how other peoples energy impacts you. Most commonly people feel happy and energised around open and positive people whilst negative people leave you feeling anxious, tired and heavy. As a result most people choose to surround themselves with likeminded people that support the practice of yoga, introspection and self development. But how can you continue to interact with the challenging people in your life with out causing harm to yourself or them? Before meeting up with that challenging person, ask yourself what do you wish to cultivate during your interaction? Perhaps you just want to provide support to a longtime friend who is going through a challenging time or maybe you are fulfilling family duties by supporting your partner at a family event. Either way, ask yourself what do I wish to cultivate during this interaction? "I want others to feel safe and supported in my presence." "I want to eliminate the need for competition." 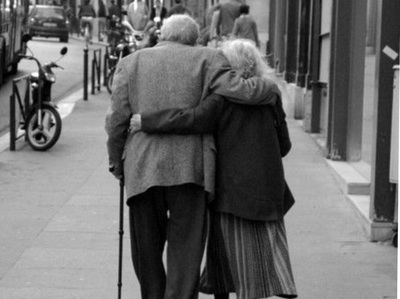 Always set your intention from a place of love and compassion and you can't go wrong. When you feel yourself being challenged during a interaction revisit your intention. ​Boundaries can relate to the amount of time you spend with that person, the conversation topics you engage in, the places you go together and the foods/drinks you may consume. Setting boundaries for yourself ensures that you stay true to your beliefs and values and protect your energy levels. Rather than pretending to listen and quietly judging, open you heart and connect with each individual you interact with. Be a pillar of strength and support as people vent there pain, suffering and fear. ​Do not react to anger and aggression. If you notice a person is getting upset over your point of view, agree to disagree, offer a mutual and neutral resolution and promptly retreat from the topic. It is not your job to provide people with unwarranted opportunities for introspection. This is their own journey. Simply notice your own reactions, emotions and thoughts in response to their anger. Remember everyone is viewing the world from their own perspective. 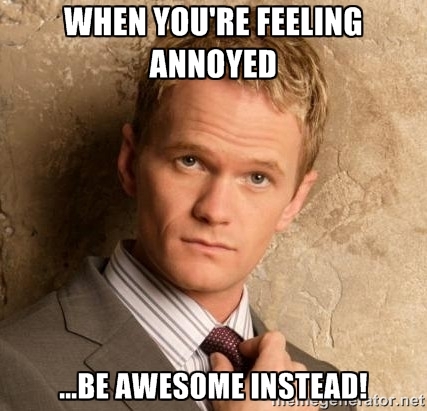 After you have spent time with a challenging person review the experience. What in particular caused emotions or reactions to arise in you? How did you react? Why do you think this might be? Write down you reflections in a journal and review them later or during a contemplative meditation. By honouring your own health and offering compassion during your interactions with others you will be able to maintain the integrity of your practice and limit your own disturbances! Breath focused movement ~ feeling the body and the breath. Cultivating strength, focus, clarity and most importantly kindness. Repeated reflections of thoughts, feelings, behaviours, reactions & responses on and off the matt. Day in, day out. For days, weeks, months, years. This is yoga and its beautiful! Do you find yogic philosophy and history confusing? 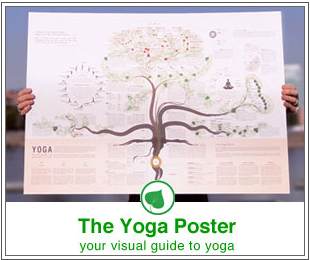 If you find it difficult to understand yogic philosophy and history, check out the yoga poster! Makes things nice and easy! 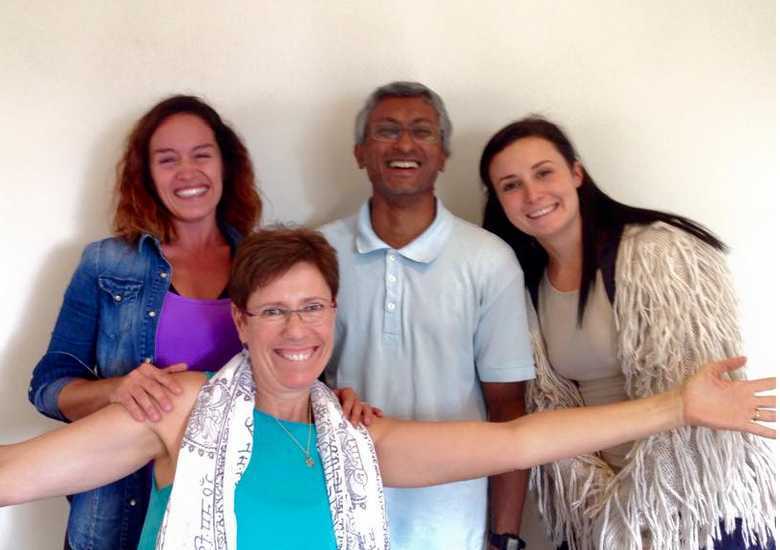 Last week I had the pleasure of attending Module 6 of Ganesh Mohan's (son of Indra and A. G. Mohan) Yoga Therapy course. As trainees were required to participate in numerous classes throughout the week so we could experience the different approaches which could be used for specific conditions. The classes emphasized creating intrinsic goals and intentions as well as creating and maintaining the clients connection with their body. The sequences were calm and gentle, and the ideas presented were familiar. In fact, so familiar I thought I had been implementing them in my personal practice, However, after completing a few classes and experiencing the benefits of a correctly guided yoga class, I realized that I have been heavily influence by my environment and the modern yoga scene. During the practices I found that my mind was overall quite agitated, even though I had been maintaining a regular "practice," I realized that the depth of my practice had become very superficial. My practice had morphed into a routine whereby I would rush through the important steps so I could make more time to challenge myself physically to preform new asanas. Rather than taking to time to fully connect with my breath, movement and consciously clear my mind I had become focused of my physical success. This realization was a great wake up call and I have to thank Ganesh for reinstating my understanding of yoga and reminding me that balance between asana and the other 7 limbs needs to be maintained in order to receive the benefits of yoga. 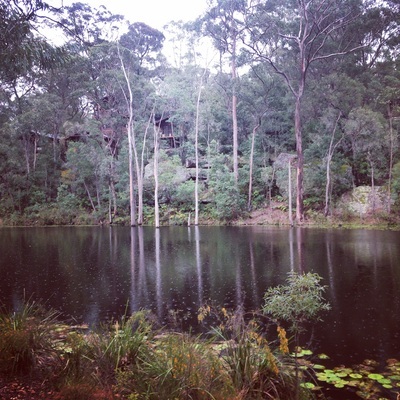 The course further developed my understanding of yogic principles and I look forward to attending again in August! There are many different styles of yoga being practiced around the world and new styles and adaptations are continually being created. Often styles can conflict each other and focus on different attributes, this can become very confusing to yoga practitioners especially if you are new to yoga. So what style of yoga should you practice? When answering this question it is important to remember that all yoga, comes from the same place and that is the Yoga Sutras of Patanjali. The style of yoga is not so important. It is more about finding a teacher who can guide you towards a focused mind and cultivate the development of yoga within you. Modern practices, such as power yoga focus on asana, the physical aspect of the practice. 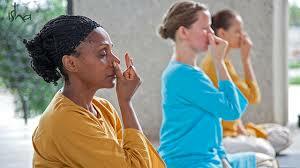 There are some beliefs that this approach neglects other aspects such as pranayama and meditation. However, in this fast paced world the focused flow achieved in the power yoga class is very calming for many people, and this is reflected in its popularity. Reason being, it would not be beneficial to place an agitated mind straight into a slow and meditative yoga practice. The practice must meet you where you are at. 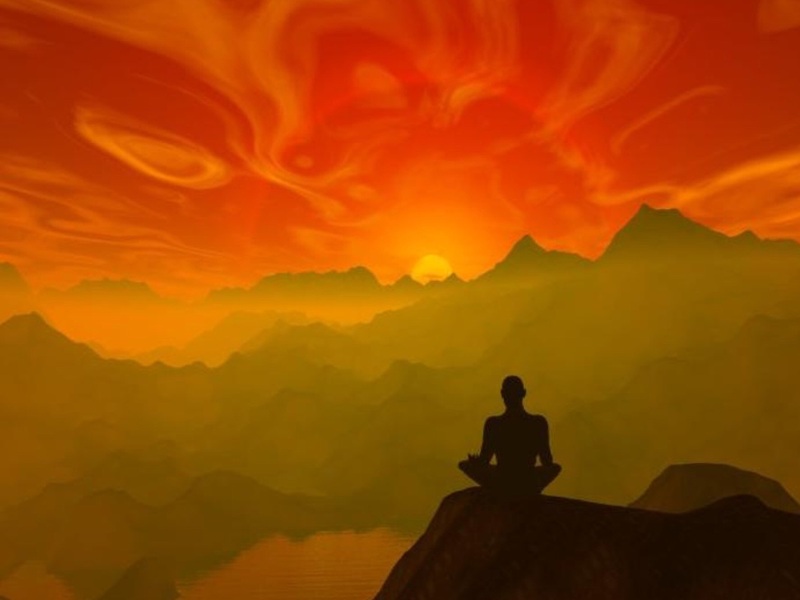 Then over time, as the mind slows and interest grows you will be guided towards self reflection, meditation and breathing techniques. If you have never done yoga before I would recommend attending an Iyengar based class. Iyengar is alignment focused. This will help you develop your understanding of the foundations of the asana. This style is also great for people you have any serious injuries as teachers use props and provide many modifications. Once you feel comfortable with the key asana alignments it would be wise to introduce breath with movement and begin to develop your moving meditation. Therefore, at this stage I would recommend attending a Classical Yoga or Hatha Vinyasa class. If you enjoy the dynamic flow of breath and movement in the Classical or Hatha Vinyasa style, you could then try Power Yoga or an Ashtanga class. These two styles are much more physical and do not allow much time for seated meditation and therefore I personally choose to do my meditation at home. If breath and movement did not resonate with you, head back to your Iyengar class or perhaps try a Yin Yoga class which involves staying in postures for up to five minutes. Each style of yoga provides benefits to you and depending on which life cycle you are in, you will automatically be drawn to a particular style. The caution is that most often we are drawn to the style which mirrors our own tendencies. For example fire attracts fire. This of course does not cultivate balance and therefore we must continually reflect upon our attachments and aversions and question whether they are beneficial or perhaps causing us harm. I hope this article has been useful and if you have any questions please email. May the divinity in me shine to the divinity in you! For everyone who enjoys chanting there is a great teacher (who trained with Desikachar) coming to Sydney in the New Year. The workshop is called The Power of Sound. Please click on the link below & check it out! Also below is a link to the Learn Vedic Chanting app produced by the KYM! 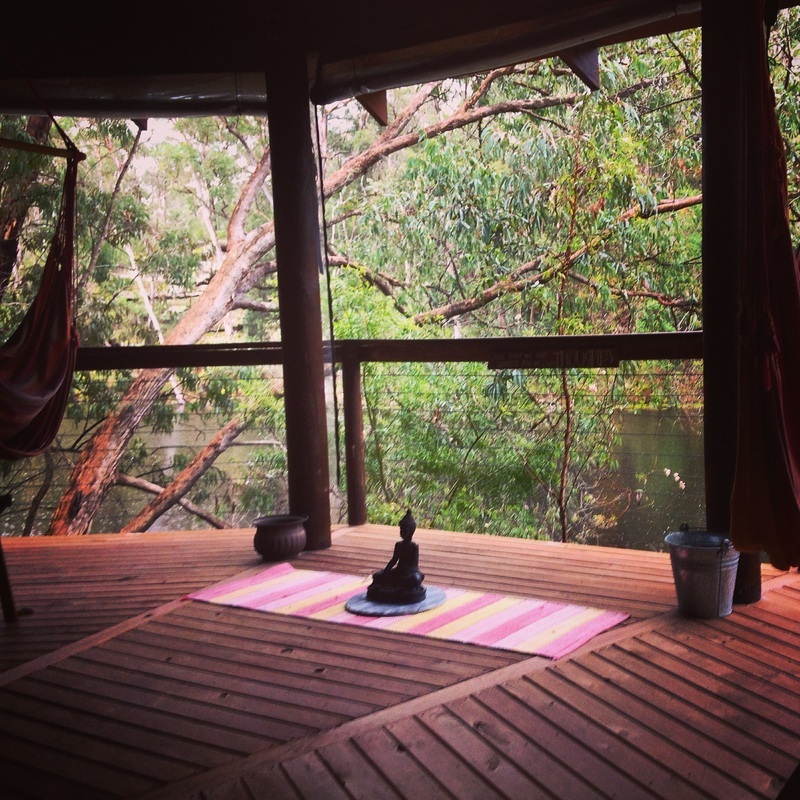 Over the past two months I have been working as retreat host and yoga teacher at Billabong Yoga and Meditation Retreat. 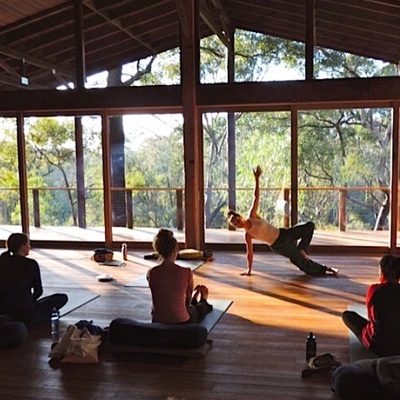 Each week I share the the yoga room with about 30 people with varying degrees of yoga experience. During this time I get to observe the transition from when people arrive to when they leave. 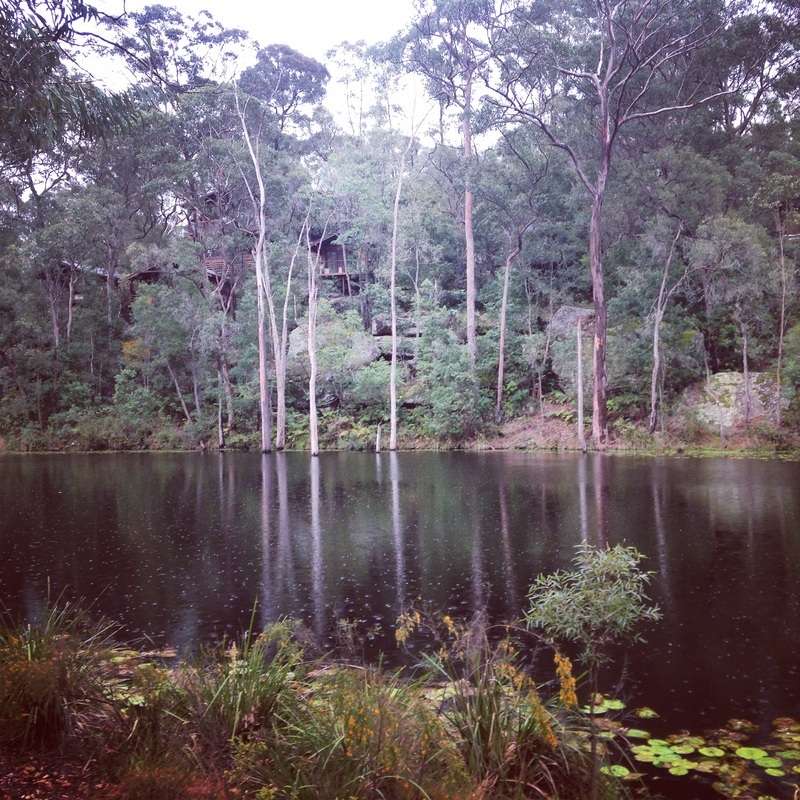 It is wonderful to see the benefits received from a breath focused yoga practice. By taking the time during the practice to exhale fully and stimulate the parasympathetic nervous system everybody becomes empowered to create peace and clarity within themselves. Thank You to all the brahmans, yogi's, teachers and students who have explored themselves and formulated such great tools for us to share! Samkhya Philosophy helps us develop our yoga and meditation practices. Samkhya is one of the oldest of six schools of Indian philosophy and one of the four theories upon which yoga is built. Understanding Samkhya is beneficial to developing both meditation and yoga practices. It provides a framework for the creation and manifestation of both the universe and the self. In simpler terms Samkhya deals with matter, consciousness, intelligence, I-am-ness, elements of stability, activity, lightness, the mind and cognitive and active senses as well as the five elements. I will provide a brief overview of Samkhya as well as examine its main features known as Purusha, Prakriti and The 3 Gunas. This will provide a brief understanding of this complex philosophy. Samkhya is dualistic. The two parts which comprise Samkhya can be described as the mind and body or the real self (Purusha) and matter (Prakriti). Purusha also known as pure consciousness and Prakriti known as nature are the two fundamental factors or realities which create cause and effect within us and the universe. It should be noted that this theory suggests that the effect is always bigger than the cause. 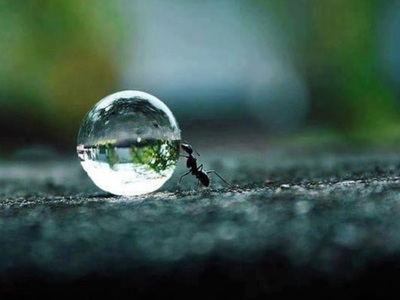 Like a drop of water into a pool, the first drop may not be that large however the ripples may travel for eons. Most importantly Samkhya states that both Purusha and Prakriti are equally real and important. Purusha is the efficient cause of the world. It is the supreme spirit and the first principle of Samkhya. Purusha is neither produced nor does it produce, it just is. Purusha is everywhere and everything. Prakriti or rather matter/nature is the none self and is known as the second principle of Samkhya. It lacks consciousness and is unintelligent. Prakriti is influenced by the Purusha and although it is not produced it still produces. Therefore, Prakriti is only able to manifest itself from the various objects of experience of the Purusha. 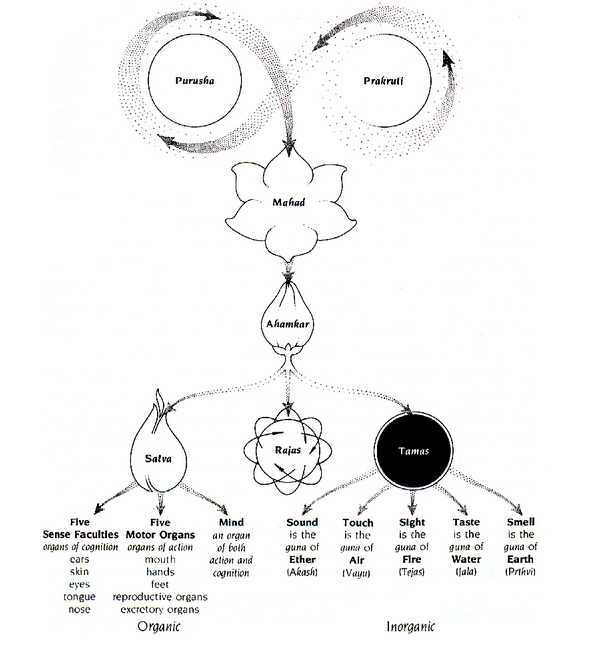 Prakriti is the ultimate cause of all physical existence and is known as the material cause of the world. Prakriti is comprised of three different qualities or natures which are known as Gunas. These Gunas which cannot be separated possess different features and therefore at different times a different Guna will be more predominant than the others. The predominance of a particular Guna can be evident in persons’ thoughts and emotions. However it should be noted that the Guna’s effect can be experienced by all of the worlds objects not only humans but also material objects. Satva - Happiness, Knowledge, Clarity, Friendliness. Rajas - Restlessness, Activity/Motion, Loss of desire, Pain. Tamas - Inertia/Inaction, Delusion, Anger, Hatred, Negligence, Ignorance, Indifference. (Gunas are also present in the Five Elements: Earth, Water, Fire, Air and Ether). 1. HOMOGENOUS – Homogenous changes do not affect the state of equilibrium in Prakriti and as a result worldly objects are not produced. It should be noted that the Gunas are not only influenced by Prakriti but by the world as a whole. Finally, the most interesting aspect regarding Samkhya is that it is atheist. Samkhya does not discuss God because it is thought that Purusha is perfect. Therefore nothing influences Purusha and therefore there cannot be a god. This aspect of the philosophy is quite substantial as most of philosophical theories are based or encompass some religious ancestry. Although it is a complex theory developing an understanding of Samkhya philosophy is very beneficial to the yoga or meditation practitioner. Samkhya provides the theory or framework for the manifestation of both the universe and the self. Yoga then provides a concrete way to apply this theory.